Thank you for sharing your solar imagewith us and other visitors of this website. Please fill out the information below, your name will be placed Copyrighted next to the image. Required fields are marked with *, the remaining fields are optional. It would be very helpful if all information will be filled in. After the upload the picture will be forwarded to our webmaster for approval. We reserve the right to reject sent in images / texts without reason. If the image has been released, it appears in our gallery in the selected category. Please note: with the upload of your image you authorize Baader Planetarium GmbH to use it on the website www.astrosolar.com. Likewise, you agree to the copyright notice of our imprint. 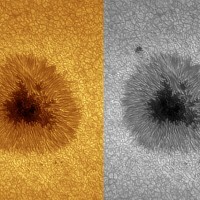 For further use of your solar image in print media, etc. we will always contact you in advance. English version of the upload form coming soon!